Amazon sellers often ask me how they can create the fancy product descriptions with headlines, images and graphics you sometimes see on Amazon product pages. For example, the content found in the section titled “From the Manufacturer” for this balance bike, or this popular brand of speakers. These enhanced descriptions are referred to as A+ content, and in the past the only way to be able to create them has been through the vendor program. 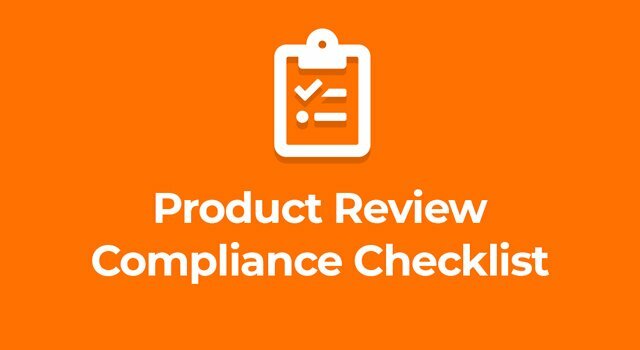 Vendors could pay a fee and submit their enhanced product descriptions for review and Amazon.com, Inc. ("Amazon") would post it to their product pages. For about a year there have been rumors that A+ content was coming to third-party sellers. Finally, in the last few weeks, this has been quietly rolled out. Many sellers are now seeing a new option on their Advertising menu in Seller Central called “Enhanced Brand Content.” Used well, this opportunity can increase sales and conversion for your brands. The new Enhanced Brand Content (EBC) is only available to brand owners whose brands are enrolled in the brand registry. Sellers will not be able to use Enhanced Brand Content for brands they do not own or that are not enrolled with Amazon’s brand registry. Amazon is rolling out EBC little by little so not all sellers may have access yet. If it has been enabled for your Seller Central account, you will find it on the Advertising menu in Seller Central. Once you select your SKU, you can choose from several templates with different combinations of images and text to use for your enhanced product description, similar to the A+ content templates for vendors. After uploading copy and images, the enhanced content is submitted to Amazon for review to ensure that Amazon’s guidelines are followed. The basic guidelines in Amazon’s style guides should be followed to ensure you are adhering to Amazon policies. Some symbols are not allowed, such as copyrights and trademarks. URLs or hyperlinks to other websites are also prohibited. Promotional copy such as “free shipping” or regarding any guarantees you have is not allowed. You cannot use phrases like “number 1” or “best seller.” See Amazon’s style guides for more information. There is one feature that Enhanced Brand Content does not include, video. Sellers have long wanted to be able to upload their own product videos, but unfortunately EBC does not include video at this time. It’s possible this will be available in the future, but Amazon has not confirmed that. This is an opportunity for sellers to showcase their brand, describe unique features and differentiate themselves from the competition. Carefully created images and copy can convince a customer to buy. A recent consumer survey conducted by Feedvisor states that 59% of customers always read the full product description before they buy, and an additional 37% sometimes read it. Use compelling visuals to catch their attention and communicate quickly. Enhanced Brand Content is your chance to visually communicate to the customer. Keep in mind the saying, “a picture is worth 1,000 words” - and I would add that an image says it more quickly and effectively. So take time to create visually compelling and professional looking content. Using banners, diagrams and charts will communicate better than plain copy. If EBC is like A+ content, then any of the plain text copy you do include will not be indexed in search. So be sure to include those keywords in your backend search terms. EBC will not show up on the main page in mobile. Buyers must click through to the description in order to view the enhanced content. Mobile shopping is on the rise so be sure you still have a compelling plain text product description uploaded to your listing. Start thinking how best to use this opportunity. Amazon has told us that they will start charging for Enhanced Brand Content some time next year, so take advantage of it now. Use professional design services to help you create images that focus on your brand and the product’s unique value proposition, and that highlight product features and benefits. Look at other pages to get ideas of what is effective and use your space wisely. This is a great update from Amazon that gives you an opportunity to really help your brand shine.